Energy campaigns can help generate concrete action on the ground by mobilizing communities around energy goals. Your community can create a local campaign: weatherizing homes, expanding rooftop solar, switching to renewable heat, increasing carshares, and more! Or you can participate in a broader ongoing campaign in support statewide energy goals. To launch a campaign in your community, click the green "Become a Campaign Manager" button above. To participate in any campaign, scroll through the list below and click on the green "Submit Actions". The Vermont Climate Action Communities (VCAC) initiative is designed to help Vermont municipalities achieve energy efficiency savings, reduce local emissions & participate in the transition to a clean energy economy, improve resilience in the face of climate change, and provide locally supported renewable energy generation for municipalities and the communities they serve. How can municipalities my town become a Vermont Climate Action Community? The town's Selectboard or City Council must act to approve your municipality’s participation in the Vermont Climate Action Communities Program. This can be done simply through a vote of your legislative body, reflected in minutes of the meeting where the action was taken, or a vote to adopt a resolution supporting its participation in the program. (Sample Resolution). Once the approved, please let us know by marking the action complete. 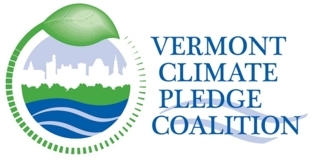 The Vermont Climate Pledge Coalition is a state-wide coalition of businesses, non-profits, municipalities, and educational institutions dedicated to the Paris Climate Agreement and Vermont’s goal of 90% renewable energy by 2050. 2) Want to become a member of the Coalition but not ready to record your institution's actions yet? Become a member of the Coalition by filling out the form below and selecting the action: "Became a member of the Coalition." Then, record your institution's actions at your own pace. 3) Become a member by recording your institution's actions and/or by making a pledge. A pledge is a promise to achieve or implement something new in the future, such as future actions your organization would like to work towards taking, or a commitment to expand a current initiative in some significant way. Are you a homeowner? Enter residential actions via the main Community Energy Dashboard Actions tab. 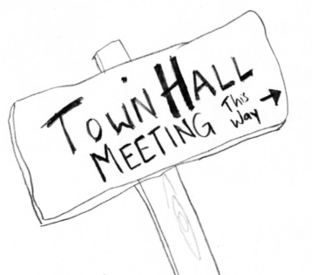 Town Meeting Day is all about coming together as a community on important issues and decisions. How Vermonters, towns, and the state grapple with more resourceful ways to consume energy and continuing our transitioning to more local, renewable energy supplies will be one of those issues. This survey is an opportunity for Vermonters to demonstrations actions they personally have taken or plan to take in support of the state's 90% renewable by 2050 goals. 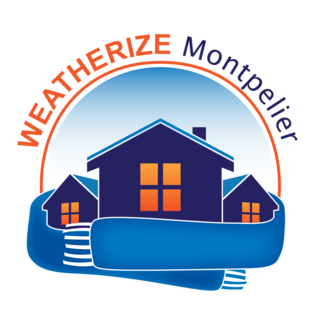 Weatherize Montpelier is an initiative of Net Zero Montpelier to help residents save money and increase comfort by weatherizing their homes. Qualified Contractors – Our Weatherize partner contractors are experienced and certified by the Building Performance Institute. Easy and Affordable First Step – Typically, homeowners may pay $400 or more for a home energy audit before receiving a quote. Not so for Weatherize participants who sign up for a free professional walk through by March 31. Great Prizes – Sign an agreement with a partner contractor by May 31 and be entered to win $500 toward the cost of your home energy project. We’ve Got Your Back – Net Zero Montpelier's volunteer team will help you through the process and make sure you have what you need to make the right decision for your home. Please mark the items you have completed and the items you pledge to complete in the next year. You can enter additional and view the results for your community at https://www.vtenergydashboard.org/campaigns/2018-leap-energy-fair-survey. Stay warm and save money this season with these energy-saving solutions. Look at the list of energy savings actions below, and enter new actions that you have taken this heating season to save energy. If you are pledging at a Barre City Energy Committee workshop, be sure to collect your free LED bulb or light switch gasket! What qualifies as an action or pledge? An action is an ongoing initiative or project completed before march 31, 2018. A pledge is a promise to achieve or implement something new in the future. Ready for winter? We’ve got your checklist. 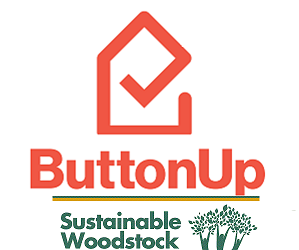 Button Up Vermont is a community-based, public outreach campaign to promote home energy efficiency improvements – particularly helping people reduce heating and cooling costs. Stay warm and save money this season with these energy-saving solutions. Look at the list of energy savings actions below, and enter new actions that you have taken this heating season to save energy. Each completed action you enter qualifies you for a chance to win weekly Button Up prizes, like a smart thermostat or a $100 gift certificate to a local hardware store. All raffle entries will be eligible for a grand prize of $500 toward a full home weatherization project. Weekly raffle drawings start on October 16 and run through December 1. An action is an ongoing initiative or project completed since during the Button Up Vermont Campaign. 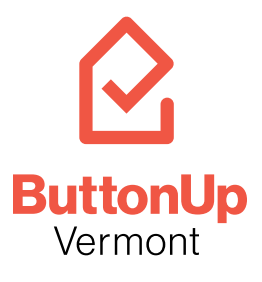 Button Up Vermont is a community-based, public outreach campaign to promote home energy efficiency improvements – particularly helping people reduce heating and cooling costs. Stay warm and save money this season with these energy-saving solutions. Look at the list of energy savings actions below, and enter new actions that you have taken this heating season to save energy. Participate below and you are automatically entered into a weekly statewide drawing for Button Up prizes, like a smart thermostat or $500 toward a Home Performance with ENERGY STAR® weatherization project. The Towns of Hartford, Hartland, Norwich, Thetford, and Woodstock are teaming up to help residents in the Upper Valley save energy and save money on their heating and cooling bills. By working together, we can reach more people and have a bigger impact on our community and our environment. Share with neighbors, friends, and family and help make the Upper Valley a leader in the Button Up Vermont campaign! Look at the list of energy savings actions below, and enter new actions that you have taken this heating season to save energy.